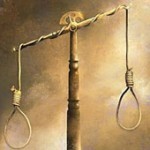 Hussain Humam Ahmed, 22 years, is on death row for the murder of MP Afrasheem Ali. His family fears he was framed and judged guilty because of his background of poverty and violence. Mohamed Kinaan, 31 years, was once counted among the most dangerous criminals in the Maldives. Today, he works as a research assistant at a psychiatric clinic, and spends his time off knocking on doors, in a desperate bid to save his brother’s life. 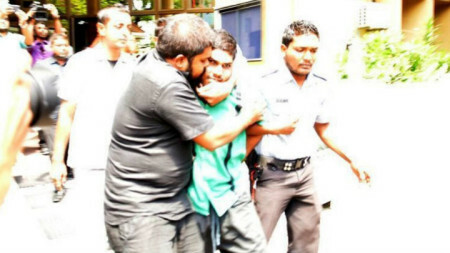 He believes his 22-year-old brother, Hussain Humam Ahmed, was framed for the brutal murder of MP Afrasheem Ali in 2012. Humam’s appeal is now before the Supreme Court. 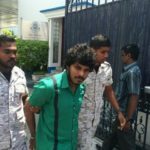 If the guilty verdict is upheld, he could be the first person to be killed by the Maldivian state in more than 60 years. “It could have as easily been me who was picked up for Afrasheem’s murder. It should have been me in there, not Humam,” says Kinaan, a soft spoken and polite man with a small beard, who now wears his long-sleeved shirt tucked in. He is matter-of-fact when he speaks of his past of poverty, violence and addiction. 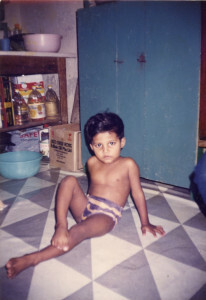 Kinaan grew up in a small and cramped house, on the fringes of the reclaimed area of Malé’s Henveiru ward. Lobby, as the house is known, housed several families. Kinan’s family of six – father, Khaleel, mother, Jaariya, sisters, Thooba and Inaya, and the youngest, Humam – lived in one small room. 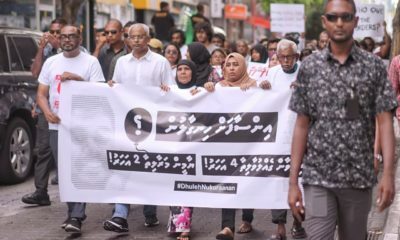 When Humam was born on February 8, 1993, Malé was already congested, crammed full of people from the Maldives’ far flung atolls, who had migrated to educate their children and medicate their elders. The island city’s groundwater table was already worn thin. Taps gave out thick brackish water, forcing Malé’s residents into long queues outside government water taps for their daily supply. The month of February began with a military campaign to kill all of Malé rats. In the week Humam was born, army general Habaru Shaukath triumphantly declared that a grand total of 250 rats had been killed and disposed of. Henveiru Lobby was like many other houses in Malé, previously a large sprawling plot of land that was being partitioned with plywood and thatch to house rapidly growing families. Kinan’s family cooked, washed dishes and ate in their single room. The flooring was thin, and when it rained, water would seep in. Jaariya would collect her children onto a small bed to keep them from getting soaked as they slept. They often went to bed without enough food. The two toilets at Lobby were in high demand. Unable to use the toilet, the children had to defecate and urinate into jars that were left in their room, and later thrown into the waves at lonuziyaaraiy kolhu. In 1993, then-President Maumoon Abdul Gayoom was nearing the end of his third term. 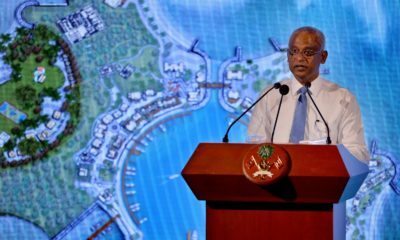 The previous five years had seen a boost in Gayoom’s image; he had shrewdly utilised a coup attempt in 1988 to elevate his public standing. He had consolidated his hold on power under the guise of unifying the country, through state owned TV, radio and newspapers that promoted his benevolent and socialist-sounding campaigns, which called for national unity, but in fact, carried an underlying, steely demand: don’t rock the political boat, play along, or else. And so the people complied. Statements of peace, progress and prosperity prevailed. There was no violent crime, and newspapers only carried the news of petty thievery and occasionally, cannabis use. The stifling walls of their small room often reverberated with the sounds of argument, and bore witness to thrown fists, even the occasional knife blade, a leg kicking over the small stove in the room, the fire catching the pillow of child as he slept, barely three months old, sleeping to the sound of a TV in the room next door that Jaariya’s children were not allowed to watch. 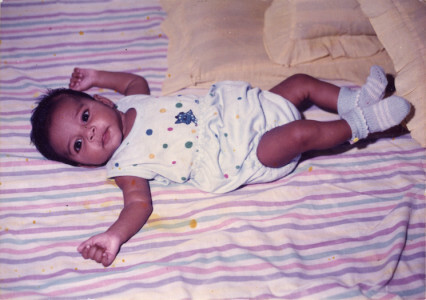 Kinaan was nine when Humam was born. Family hostilities and the experience of being bullied in school led him to delinquency. He often set things on fire, and burned himself. 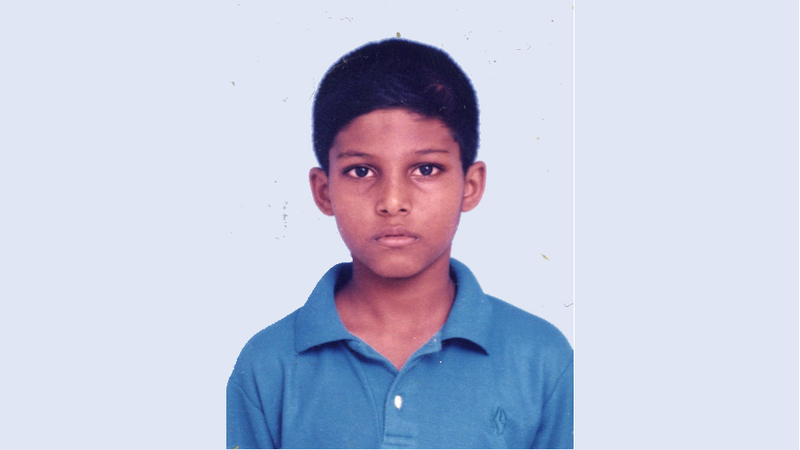 Prone to nosebleeds, Kinaan would hide out in a cupboard at home, his ‘safe’ place. “I was afraid to go to school, and afraid at home,” he says. Humam was a sickly baby, suffering from strong fevers and drawn out seizures. He was prone to angry outbursts even as young as four years old. “Once, I was feeding Humam and he was squabbling with his sister. So I was a bit stern with him. Suddenly he just got up and ran out. We couldn’t find him until dark. When he came back, his knee was scraped and hurt. He was so little, but he’d run out so many times,” says Jaariya. Humam was competitive, both in academics and at athletics, but complained at home of being left out of class activities by teachers. His family could do little, trapped and helpless in a social hierarchy that favoured the elites of Malé, the beyfulhu class, and the children of cabinet members. Moments of familial contentment were rare: the younger sister Inaya was on the gymnastics team, and often practiced in their room, with Humam attempting even more elaborate moves to impress her. Jaariya made snacks to sell at the EPS School canteen, inside their little room, and the children were enlisted to help her. On the days when the children received their quarterly school reports, Khaleel would take them out to the Red Cap restaurant. Sometimes, the family would buy ice-cream, Walls Magnum, and eat it at the Jumhooree Square. By 1998, Humam was five. Gayoom had ratified a new constitution, after a 17-year drafting process, allowing aspiring presidential candidates to seek election through the parliament. Ilyas Ibrahim, Gayoom’s brother-in-law who had been sentenced to banishment in 1993 for lobbying parliament members for the presidency, was pardoned and handed a cabinet post. Gayoom was elected to a fifth term later that year. At the time, heroin addiction was on the increase in Malé, resulting in an increase in theft and petty crimes. Kinaan, fifteen and fed up of conflict at home, was now old enough to fend for himself. One day, on witnessing his step-grandmother assault his mother, Kinaan hit back. “I realised then that no one dared to fight back. And I realised that things had changed. It made me feel powerful – like I had won,” he says. It was then that he left Lobby, spending most of his time on the streets, forming alliances with other lost boys. They spent long hours dwindling time on street corners, getting enlisted into doing paltry criminal favours, and dabbling in drug use and indoctrinating themselves to the ways of the street. Kinaan often visited Masodige, a house now synonymous with violence and criminality. The boys would sleep there late at night, only arriving home in the early hours to change clothes. “When I started going to Masodi, it was already a place where people gathered. There was no drugs, or any criminal activities then. I was very unhappy in Henveiru, and so I started going there. I felt more content when I was there. Kinaan went on to quit school and worked at several jobs through the years; the list speaks of failed attempts at an alternative life out of the streets, at Scoop Ice Cream Parlour, then Fizzes, then Movenpick and at Ice and Spice, MA Services, at Olhuveli Beach Resort and Spa, as a crew member on a fishing boat, as a porter at Malé customs, and as a salesman at clothing shops, Invite and Image, and at a gift shop, Dejavu. “The jobs didn’t work out because I was getting into scuffles with other groups. Once when I was on my way for morning duty at Scoop, a group of boys followed me insulting my mother. I got angry and lashed out. Then I ran to Scoop. They followed me and began to ring the bell. I waited inside, didn’t let them in. A few days later, they found me again, and by chance, my friend from Masodi was there to help me defend myself,” Kinaan says. 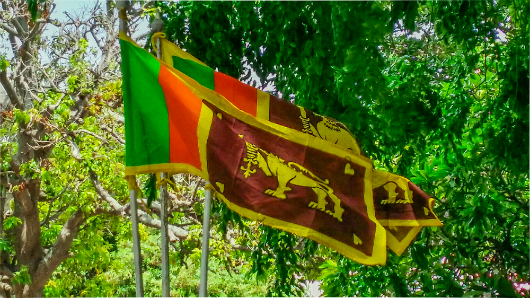 In 2003, Humaam was ten, Kinaanath was nineteen. 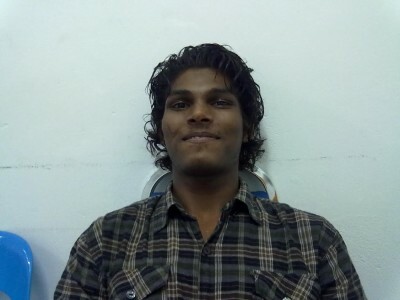 Evan Naseem, a young heroin addict, also 19 years of age, was tortured and killed by prison guards in Maafushi Jail. Kinaan and Humam were friends with Evan’s two brothers. His death sparked riots in Malé against Gayoom’s 25-year rule. In response, Gayoom took the dangerous step of releasing all prisoners, except those convicted of murder and terrorism. Convicts were freed without rehabilitation, unleashing a great deal of rage against existing power structures. Crime rates soared. 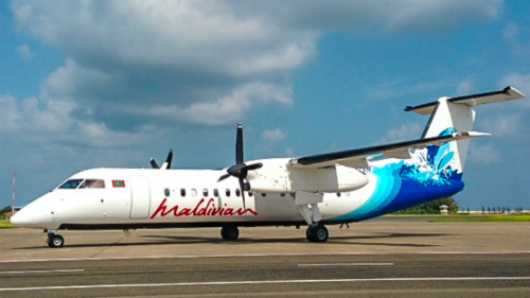 Gangs – Masodi, Kuda Henveyru, Buru, TC – became part of Malé’s social landscape. The ensuing years saw violent police crackdowns on pro-democracy protesters. Faced with growing domestic and international pressure, Gayoom allowed the registration of political parties and later, independent media. The establishment of the riot police, dubbed the Star Force, and political parties gave gangs definition and form, according to a study by Asia Foundation, a Bangkok-based human rights group. Gangs mimicked the violence and brutality of Star Force officers, while politicians enlisted gangs for protection and influence. Later, members of gangs were recruited into the Star Force and given the legitimacy of a uniform. Humam came of age at this time of political and social upheaval. He was spending more and more time at the Henveiru Park, becoming friends and playing football with the boys at Kuda Henveiru. In Ramadan, when the gangs took their street wars to the ‘baibalaa grounds,’ a variation of the South Asian Kabbaddi, Humam played on the Kuda Henveiru team. He was their star-player; agile, quick, and showing his opponents little mercy. Kinaan was meanwhile one of the operative members of Masodi and known for his penchant for violence. Kuda Henveiru and Masodi in Malé’s east were at war with Bosnia and Buru, gangs living in the city’s center. 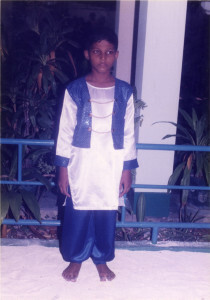 Kinaan was involved the first wave of stabbings in Malé, and later arrested for carrying a sword. One evening in November 2007, Humam was assaulted right outside his house. His parents dragged him in. “They were looking for me,” says Kinaan. “But I was in jail, beyond their reach, and they knew Humam was my brother. It was inevitable that they would find him.” The next day, the same members of Buru and Bosnia found Humam standing outside his house, carrying his six-month old cousin. They beat him up again, bloodying the gash on his forehead from the previous night’s fight. His family describes the assault as a turning point for Humam. “That was the day Humam really “turned violent.” He was always angry, but we hadn’t seen him getting into fights before that,” says Inaya. 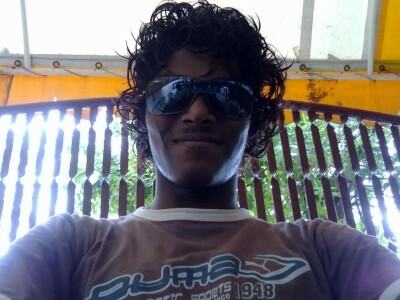 At Kuda Henveiru, Humam had a friend and a protector, Ali ‘Choatey’ Ishar – a young man who accompanied Humam’s mother and sisters to look for him when he would run away from home, and the first to be killed in a gang fight in Malé. Ishar was stabbed to death in a fight between Kuda Henveiru and Buru on the night of December 2, 2007. His murder led to a spate of retributive killings. For weeks afterwards, Malé throbbed with tension, the news frequently carried stories of fatal stabbings in guesthouse rooms, and on the streets. That same year was when Afrasheem returned to the Maldives from Malaysia and entered politics. He had completed his doctorate in Islamic Shari’ah and quickly became a favourite of Gayoom’s. He was considered a “modern sheikh” who preached moderate Islam, and was criticised fiercely by more conservative groups, who were starting to gain a foothold in the Maldives. By then, Gayoom’s 29-year-old dictatorship was shivering in its last years. The Maldives’ first multi-party election was looming in 2008. 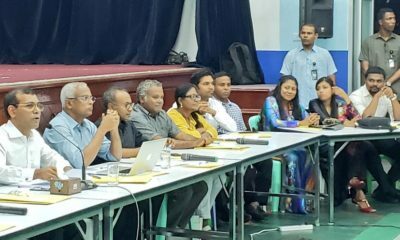 Several competitors had emerged, from within Gayoom’s own cabinet, and the opposition Maldivian Democratic Party. In 2008, Humam was fifteen and was expelled from school. Without the obligations of a schoolboy to keep him occupied, and too young to be employed, he spent most of his time on the streets, carving out for himself an identity of violence and crime. By his own account, he and his friends had already stabbed two people in the stomach at the Dolphin Café, stabbed another on a motorcycle near Irudhoshu Café, and attacked a foreigner who was passed out at the artificial beach area by hitting him with a brick. Later that year, Mohamed Nasheed of the MDP defeated Gayoom. 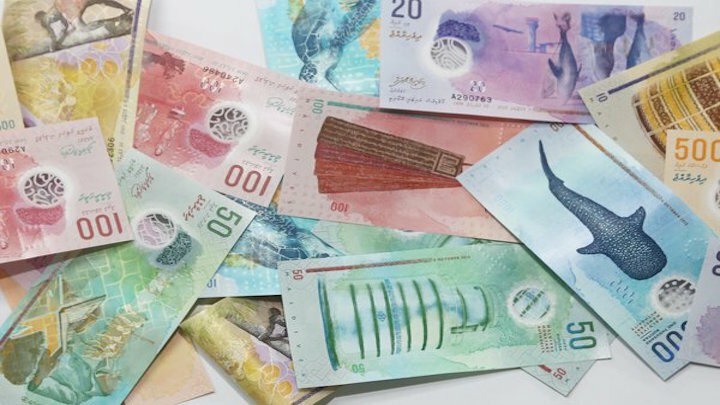 In the ensuing years, Maldives saw landmark reforms, but little changed in the social landscape of drugs, violence, and organised crime. Fatal stabbings only increased. In 2010, Humam threw a chair at a juvenile court judge during a trial on assault charges. Kinaan was in the headlines for a variety of gang related crimes. The army was deployed to the streets that year in an effort to curb gang violence. Khaleel, the two boys’ father, spent his days accompanying his sons to court and back. Both now had a string of offences under their belts. In January 2011, Kinaan was arrested for carrying a weapon. By then, he says he was trying to find a way out. “I didn’t want to live that life. I didn’t want to be an addict. I didn’t want to leave my cell because inside, I was safe. I didn’t have to be in a gang. The next year, 2012, saw a dramatic shift in the halls of power. Nasheed was ousted in a coup. Opposition supporters were constantly on the streets and often met with violent crackdowns. Islamic radicalisation became a topic of concern, especially in the aftermath of a murder attempt on a secular blogger that June. Afrasheem, now an MP for the Ungoofaaru Constituency, was often in harm’s way for his moderate beliefs. He was assaulted publicly multiple times. By September 2012, Kinaan was in rehab. 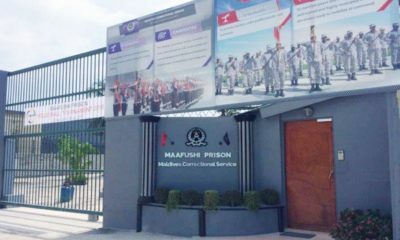 He had been transferred there from jail under Nasheed’s flagship Second Chance Project. 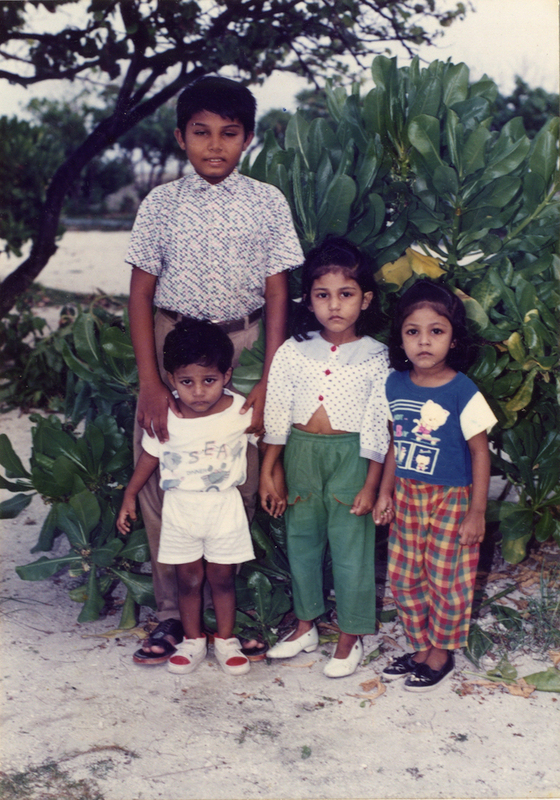 Humam had recently returned home, unwillingly, from the juvenile rehabilitation center on Feydhoofinolhu. He had turned eighteen there. “He was calmer when he returned. We didn’t want him to come back. Humam himself didn’t want to come back. But he was eighteen and he could no longer stay there. For about six months, he was so good. He used to pray everyday. He didn’t go out. And then there was a fight at home again, and it triggered his previous behaviour,” says Inaya. October 1, 2012 was the last day Humam would spend as a free man. His account of the day, as told to the police that November, consisted of motorcycle rounds and cups of coffees, had with the same people, over and over again. He had stayed up the night before, smoking and drinking coffee at the Dolphin Café with his friends. At dawn, they went canoeing. Later that afternoon, he returned to Lobby to shower. He cut his nails, changed into a long sleeved dark blue shirt and jeans, and went for a coffee at the Blue Bay restaurant. After a motorcycle ride, he returned to the beach and dozed off on a joali, a traditional lounge chair, near the turf ground. “I was bored, and tired,” he told the police. He was also hungry, calling up his friend and then his cousin, asking for dinner. A football match was going on the turf ground. 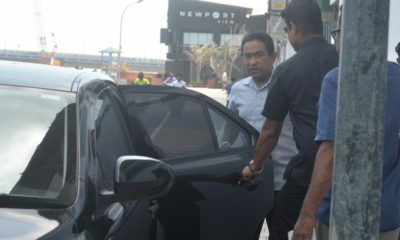 His friend Ahmed Nazeef ‘Nazippe’ Shaukath was with him. At 1am, another friend drove up and told them to go home. “Someone’s been stabbed,” he said. Minutes later, a police van arrived, stopped and searched the pair, and placed Humam under arrest on a drug abuse charge. 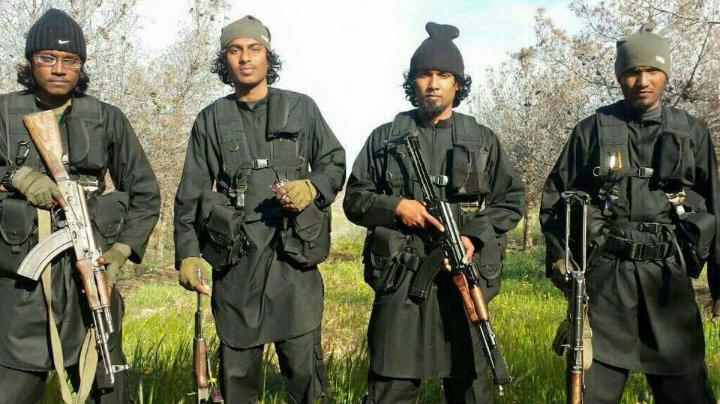 Afrasheem’s body had been found hacked to death in the stairwell of his home at 1:30am. He had left his house that night for a TV appearance, in which he had apologised for “any misrepresentation of Islamic truths” in the past. The murder weapon was never found. 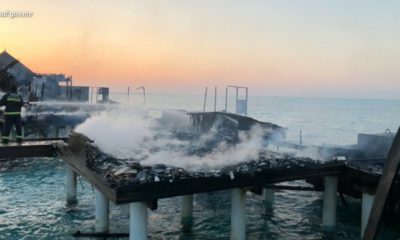 Accomplices were never identified, and suspicion was instead cast on religious extremists, the opposition MDP and incumbent President Abdulla Yameen. Humam’s family, initially convinced of his innocence, was conflicted at times, too. Then came the reports of self-harm and signs of mental instability. At court, Humam would stare upwards, place his handcuffs against his mouth and laugh. The family’s pleas for help, filed at the Human Rights Commission and the criminal court, were ignored. A year after the trial began, the criminal court sentenced Humam to death, after refusing to commission an independent psychiatric evaluation or examine his claims of police coercion. The verdict was mostly based on the testimony of anonymous witnesses. 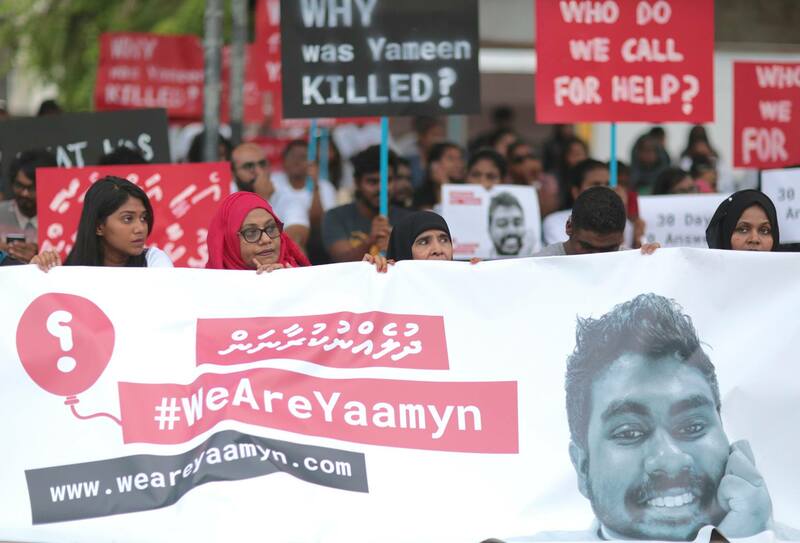 A few months later, Yameen’s administration ended a six decade moratorium on the death penalty. “If true, Humam was at different locations simultaneously,” the NGO said in a recent report. The first anonymous witness had claimed that he saw Humam inside Afrasheem’s house, covered in blood, holding the MP’s hand. The second anonymous witness testified saying that he saw a man similar to Humam inside a mosque “frantically washing his face.” The third and fourth witnesses were the officers who arrested Humam; they claimed that Humam appeared to “be under the influence” and was “very nervous.” A fifth anonymous witness testified that Humam had complained about having nightmares of Afrasheem and had suggested that Afrasheem was someone he thought should be killed. 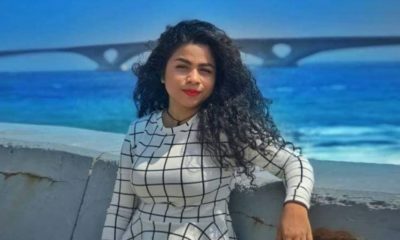 The sixth and key piece of evidence was a statement by a forensic expert who claimed that samples taken from the inside of Humam’s blue jeans matched Afrasheem’s DNA. But the report itself was never submitted to the court, according to Humam’s lawyers. Kinaan, who continues to struggle with addiction, says: “There is no sympathy for people like us. But this could have happened to anyone here, there are so many of us who are in the same situation, voiceless.